On this special episode of Nausicaa Cast, I had the opportunity to talk with Colette McInerney the day before her new production company, Never Not Collective, raised 50,000 for their new all-female climbing movie. Colette, along with Shelma Jun, Julie Ellison, and Leslie Hittmeier must have set a record when they met their original goal in 5 days on kickstarter . 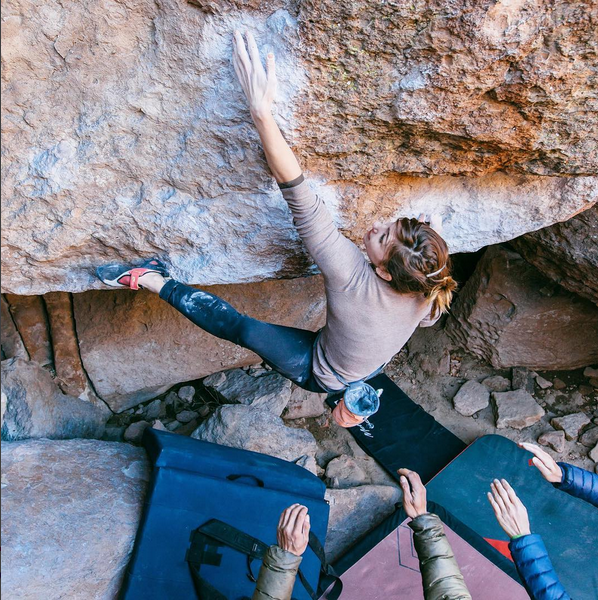 This seems to not only be an indication of the need for more female climbing presence in the industry and the strength of the group as a whole, but also the generosity and support of the climbing community. Colette discusses this support as well as her nomadic path, her passion for photography, and #coletteing. The world is going to do what its going to do and it’s your decision if you’re going to be anxious about it or go with it.